When you think of places to site see in southwest Florida you normally you wouldn't think of a church. Right in the thick of it in Bonita Springs is a beautiful church with a pair of bald eagles who call it home. The grounds around the church are very lovely and there are a couple of ponds where you will find other wildlife such as turtles, otters and ducks. 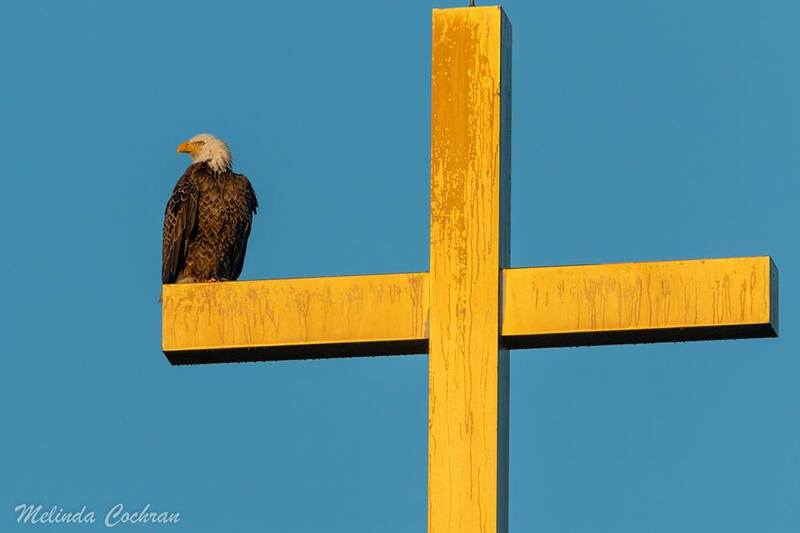 The eagles like to sit high atop the cross in the early mornings watching over their nests. It is quite the site to see. 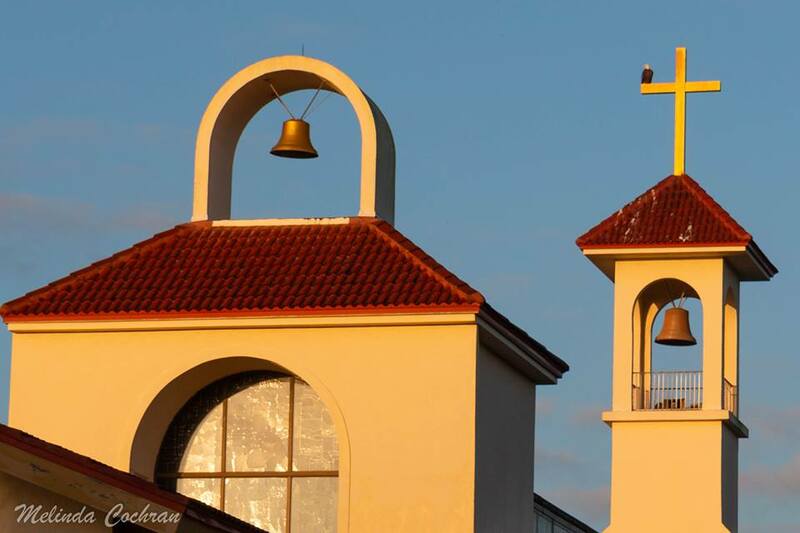 St Leo Catholic Church in Bonita Springs is a very popular church. It is located on Beaumont Road in Bonita Springs, Florida. 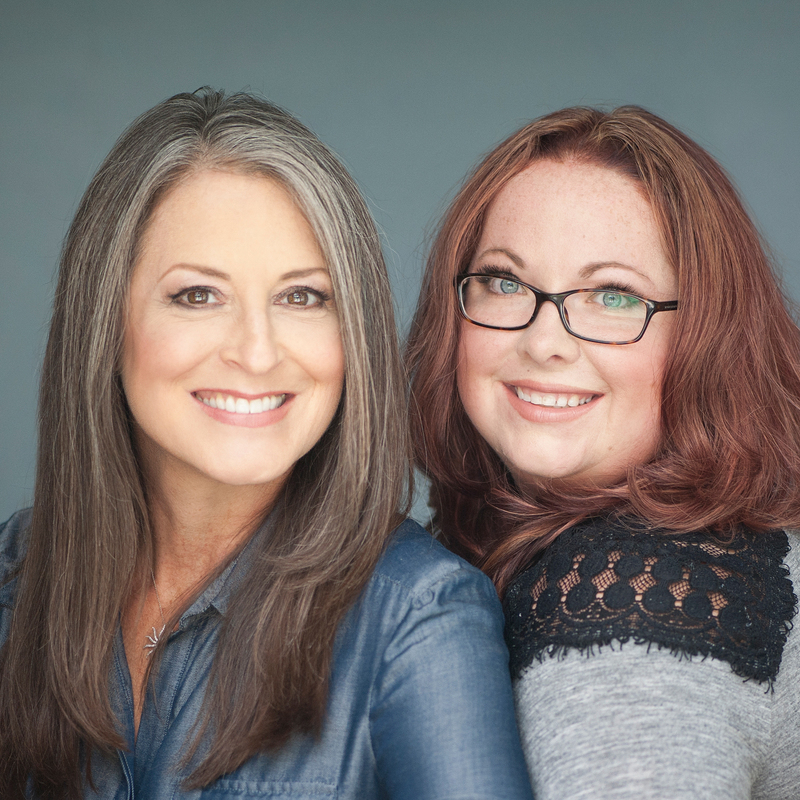 About the author: Melinda Cochran is photographer and Southwest Florida resident. You can find more of her images at: https://www.facebook.com/journeythroughmyeyes/. If you know of a great place for Melinda to capture wildlife in action send a message in the comments section of this post.